Taste of Ramsey is Coming on May 19th! 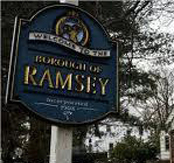 The Ramsey Chamber of Commerce is dedicated to serve as a voice for all local businesses, to positively encourage local commerce and steady economic growth, to provide opportunities for leadership, and to foster community partnerships. We establish and maintain ourselves as the primary advocate and resource for business organizations in our community. Ramsey Public Education Foundation announces sponsorship opportunities for the Sprint For Our Schools on May 11. See two flyers below and note deadlines of March 1st and April 1st: 2019 SFOS Sponsor-Specific Race Registration Form and 2019 Sponsor Opportunities Form FIRST For more information see our News page. Valley National Bank announces special low interest home equity line of credit. 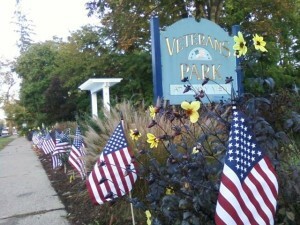 Visit the local office at 10 S. Franklin Tpk or see VNB equity line flyer for details. Building Bergen-The Future of Healthcare, Tuesday, April 30th, 7:30am at Bergen Community College. Sponsors include Bergen Biz. See our Event Calendar for details. 2nd Annual Ramsey Stigma Free Walk and Talk a Thon, Wednesday, May 1st, 6:30pm at Ramsey High School. See our Event Calendar for details. Ramsey Chamber and Unity Bank Business Networking Mixer, Wednesday, May 8th, 5pm at Varka. See our Event Calendar for details. Greater Ramsey UNICO Presents A Night At The Races, Friday, May 10th, 7pm at the Knights of Columbus Hall. See our Event Calendar for details. RPEF Sprint For Our Schools, Saturday, May 11th, 8:30am at the Ramsey Pool. See our Event Calendar for details. A Taste of Ramsey, Sunday, May 19th at the Ramsey Main St. Train Station. More information.